My friends Tolu and Ronke run a cleaning company that is unlike any cleaning company I have ever come across. They see Zenith Cleaners as a vehicle through which they can create the kind of world they want to live in, a world that is not just healthy and aesthetically beautiful, but deeply rooted in caring relationships and personal growth. What I find particularly inspiring is their ability to translate this philosophy into a daily practice. One of the practices that struck me when I worked for Zenith was the equal reverence they had for clients and staff. In every other service job I’ve experienced, the mantra that was drilled into my brain was “the customer is always right.” But at Zenith, Tolu and Ronke made it clear from the start that if I was ever treated poorly by a client, I was to tell them immediately and they would not hesitate to intervene and even discontinue the relationship with the client if necessary. For them, a clean and healthy world does not stop at what you can see, it includes healthy human relationships. 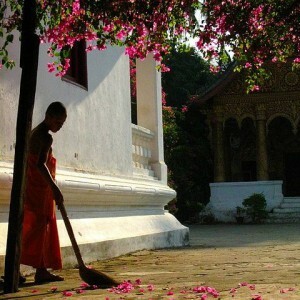 If the space looks clean, but human beings are hurt in the process, the space is not truly clean.